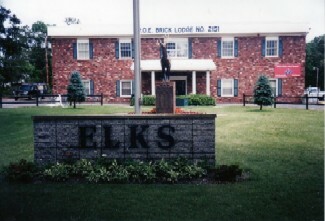 Welcome to the Brick Elks Lodge #2151 Home Page. Camaraderie, while viewing one of the multiple flat screen TV's!! Saturday's are a great time to come out and dance the night away! See calendar for information! Thanks for visiting our website and we hope you will join us at our Lodge soon! You can also sign up using the Sign Up Sheet on the bulletin in the Grill Room. Brick Elk's Special Event. Don't miss out. If anyone is interested, please contact George Esposito. and an hour a week to make sure staff coverage. We always have plenty of help available. <---- View the "More Info..." Menu Buttom for added Web Pages. We now have a presence on Facebook thanks to Chuck Crerand. Please click here and join us. Facebook Group is "Brick Elks Lodge #2151".